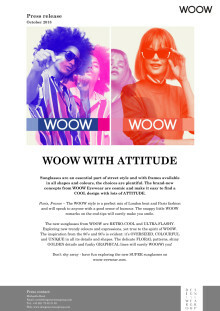 Woow is in a cosmic mood ! 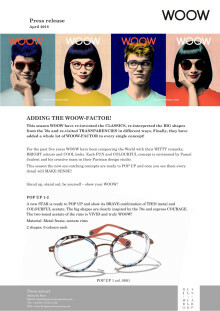 This season, the Parisian brand, WOOW Eyewear is primed to win you over in 2019 with brand-new concepts boasting lots of ATTITUDE and CHARACTER. The colours are surprising, and the shapes are just a little CRAZY. With WOOW the sky is the limit! 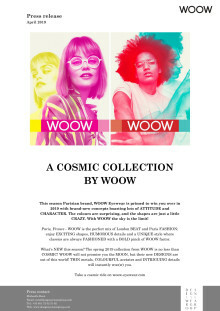 WOOW is in a cosmic mood! 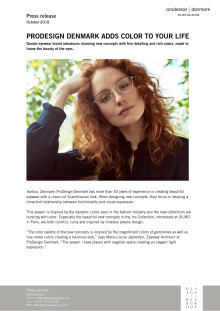 Sunglasses are an essential part of street style and with frames available in all shapes and colours, the choices are plentiful. 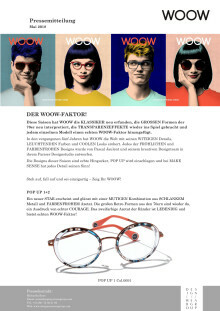 The brand-new concepts from WOOW Eyewear are cosmic and make it easy to find a COOL design with lots of ATTITUDE. 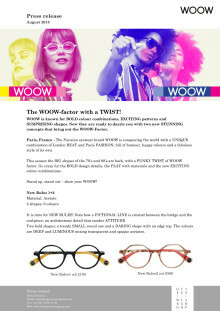 The WOOW-factor with a TWIST! L'effet Woow en plus ! 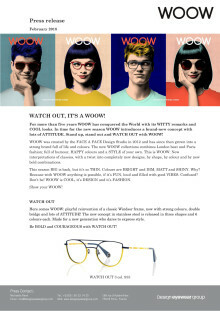 WATCH OUT, IT'S A WOOW ! 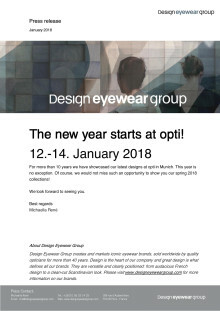 The new year starts at opti! 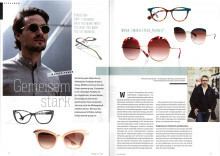 For more than 10 years we have showcased our latest designs at opti in Munich. This year is no exception. Of course, we would not miss such an opportunity to show you our spring 2018 collections! We look forward to seeing you. 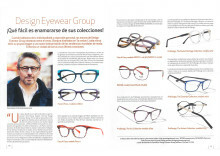 Look Vision mars 2017 Qué facil es enamorarse de sus colecciones!